The heart is a muscular organ responsible for pumping blood. It beats non-stop throughout your lifetime. Below are more interesting facts about the heart that might motivate you to start taking good care of it. The Heart Beats 100,000 Times a Day. On average, the heart adult heart beats 100,000 times a day. In that period, it pumps about 2,000 gallons of blood through your body and keeps it flowing through about 60,000 miles of blood vessels. 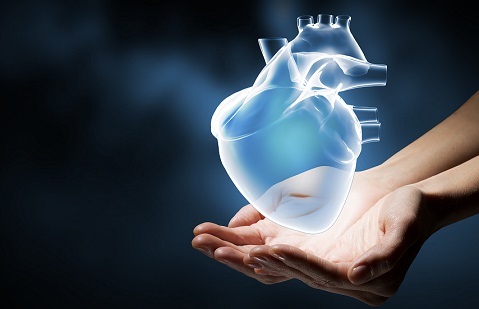 Damage to the heart and other parts of the cardiovascular system reduce the pumping power of the heart. That forces the heart to work harder in order to meet the body’s demand for blood supply. So, how can you keep the heart in good shape? Through regular exercise and eating healthy. Fitness and Age Affect the Heart Rate. The heart starts beating in the womb three to four weeks after conception. At this stage, the number of heart beats per minute is between 105 and 120. Male Heart Attacks are Different from Female Heart Attacks. Contrary to popular belief, heart attacks kill almost as many women as men. This misconception that heart attacks are more common in men than women lies in the manifestation of the attacks. The signs of a heart attack in women are less obvious. Instead of the common symptom, chest pain, women experience symptoms such as nausea, shoulder pain, and lightheadedness. The common causes of heart attacks are high cholesterol levels and high blood pressure. Healthy eating and exercise are the most effective ways of keeping those conditions in check. Remember, you can track your cholesterol level and blood pressure using an EKG machine. Laughter is Medicine to the Heart. When you are laughing, the lining of the blood vessel walls relaxes resulting in dilation of the vessel. Therefore, there is more blood flow. That is why laughter relieves stress and anxiety. A good belly laugh can increase blood flow through the body by up to 20%. In fact, researchers found that when people are watching comedies, their blood flow improves. So, laugh whenever you can. It is good for your heart. Your Heart is the Size of a Fist. The size of the heart is dependent on the health of the heart and the size of your body. But, generally, a healthy heart is the size of your fist. A condition, such as congestive heart failure, causes enlargement of the heart. Unsurprisingly, men have larger hearts compared to women. The average weight of a woman’s heart is 8 ounces while that of a man is 10 ounces. The Heart Continues to Beat Even After it is Removed from Your Body. The brain does not control the muscles of the heart. The heart beats due to electrical impulses generated in the heart nodes. It only requires oxygen and energy to continue beating. After you die, in most cases, it only beats for about a minute. However, in cocaine addicts, it continues beating for much longer. Cocaine reduces blood flow to arteries that supply blood to the heart muscle. As a result, heart rate and heart size increase making the muscle cells in the heart to beat erratically. The heart pumps about 20% of blood to the kidneys. The kidneys remove toxins from the blood. 15% of the blood goes to the brain. Brain cells require a constant supply of oxygen to survive. These cells can die within minutes. The heart gives itself only 5% of the blood through the coronary arteries. No wonder selfless people are said to have big hearts. Isn’t the heart amazing and interesting? Its primary function is to keep you alive, which it accomplishes by pumping nonstop; it only has slight rest when you are sleeping. For all that hard work, it deserves to be kept in good shape.